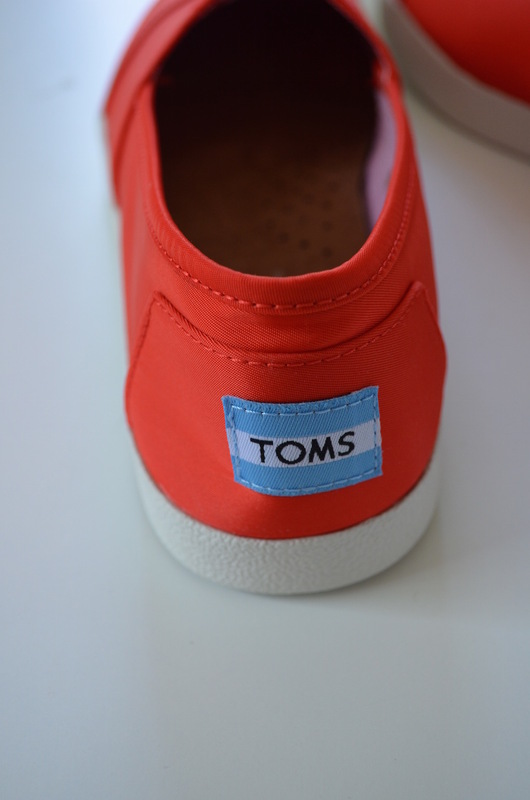 I picked up these TOMS this summer from Journeys. I’ve wanted a pair for a long time. Dustin even has a pair in blue. 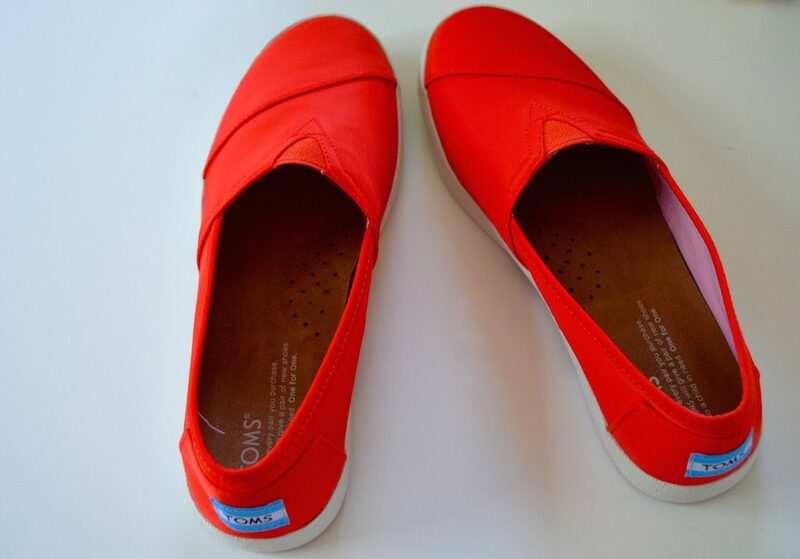 When I saw these fun red/orange ones I bought them for $30. (I think) I’ve been wearing them with jeans. They fit well and look great. I’ve received a lot of compliments on how bright they are! Do you like bright shoes? I love bright shoes that make me smile AND they give back! All You Need Is A Statement Necklace From The Cloth Closet This Fall!